RLE’s VA Vandalproof is available in incandescent up to 60W, fluorescent in Circline 20W and 22W and energy efficient PL lamps. 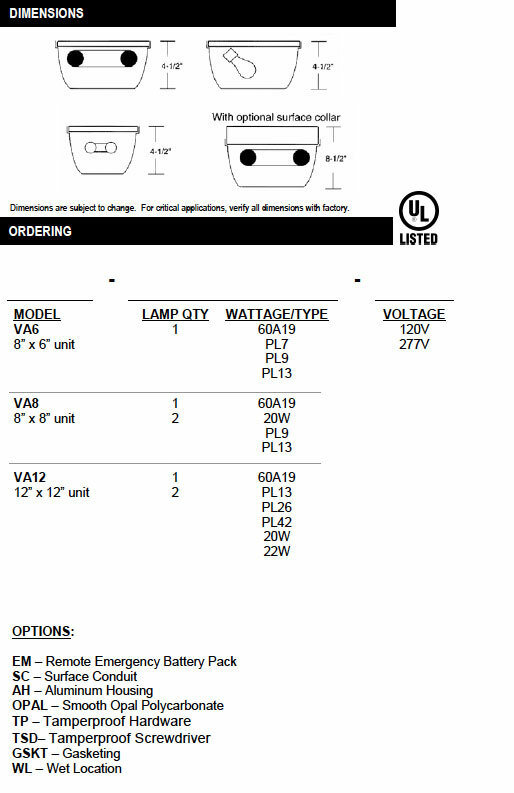 Available in 6”x8”, 8”x8”, 12”x12” and 6”x10” nominal sizes for a variety of lamp configurations. The VA Fluorescent is ideal for correctional facilities, recreational areas, institutions, schools, and any area where vandalism is a concern. 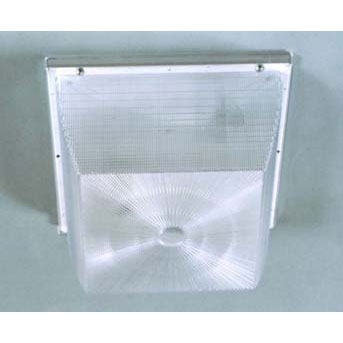 Wall or ceiling mount for indoors or outdoors. Optional neoprene gasket for dust, moisture, and insect resistance. Slotted screws are standard. Spanner head screws are optional. Die formed housing in heavy gauge steel. Optional aluminum housing. .125” thick multi-patterned injection molded clear prismatic polycarbonate with ultraviolet inhibitors. Also available with smooth opal lens. All parts finish with high gloss baked white enamel with minimum 89% reflectance applied over iron phosphate pretreatment for maximum adhesion and rust resistance.